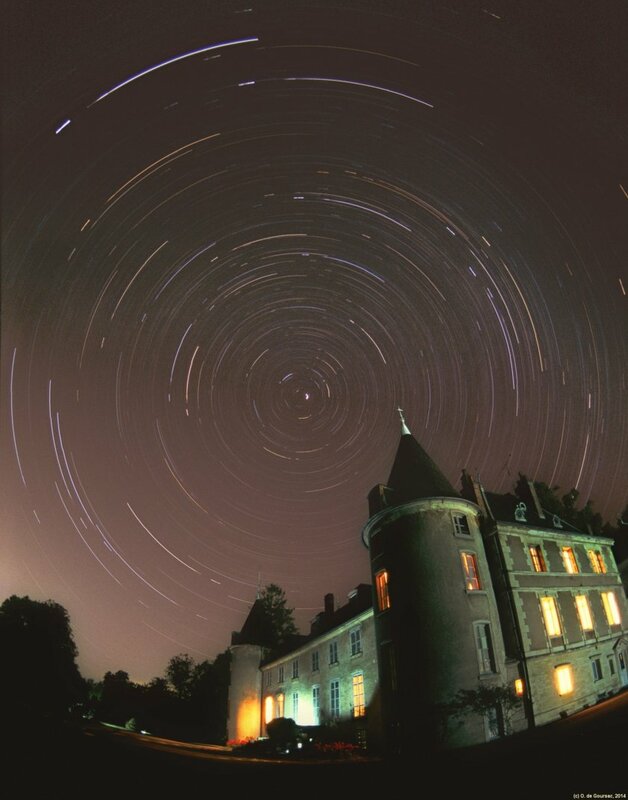 It was a hot and dark night in Burgundy near the Chateau of Nogent-les-Montbard in France. A perfect night to make a long exposure of the stars... I had also to move with a search light around, so that the chateau itself could be seen. I made also a stop of 5 min within the exposure time (covering the lens with a cap) to have the stars pinpointed and the constellations seen more easily.